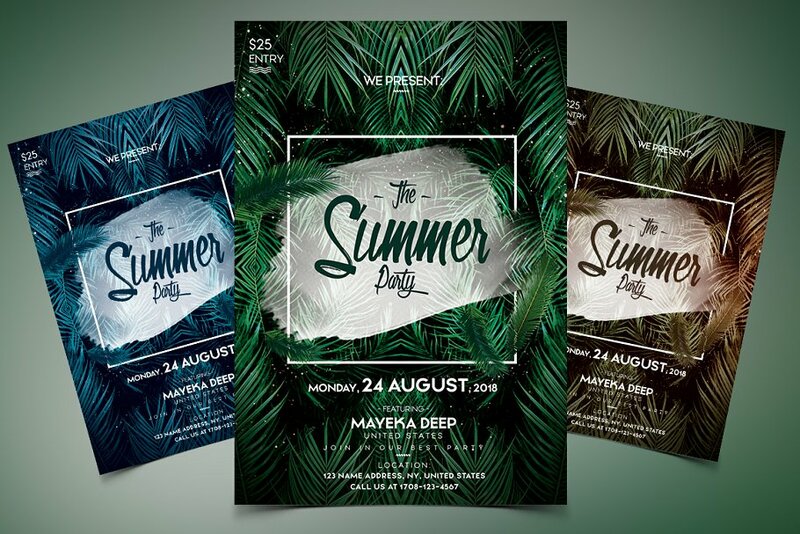 The Summer Party is a premium flyer template to use for your next event or party. PSD is fully editable and very easy to edit. This flyer is suitable for any summer party, music event, beach party, fashion and other business purposes. Included Help file with free fonts links + how to change color of flyer.